Keep your revenue high and your stress low. The Your Fare platform helps manage all 3rd party delivery services in a way that works best for you. Sign up for multiple 3rd party delivery services and integrate all the orders into one simple user friendly platform. 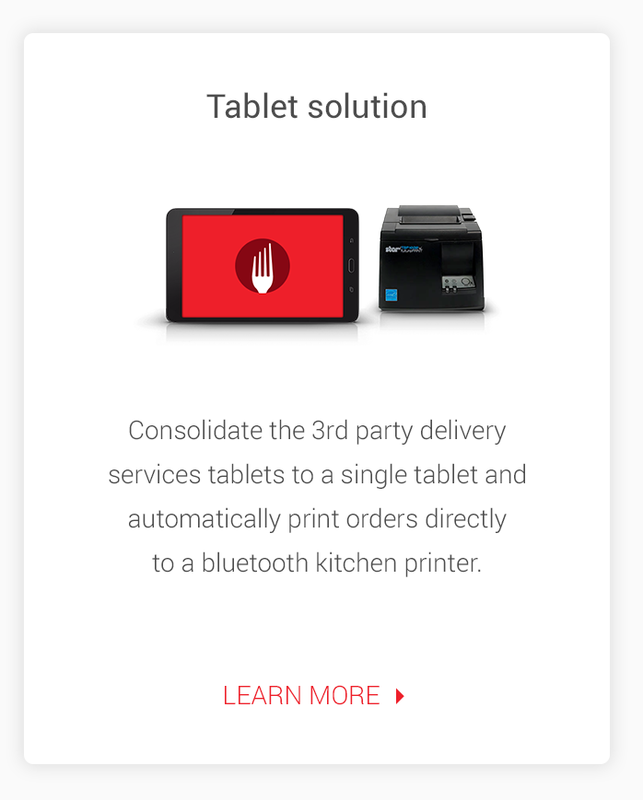 Built for restaurant operators, by restaurant operators. 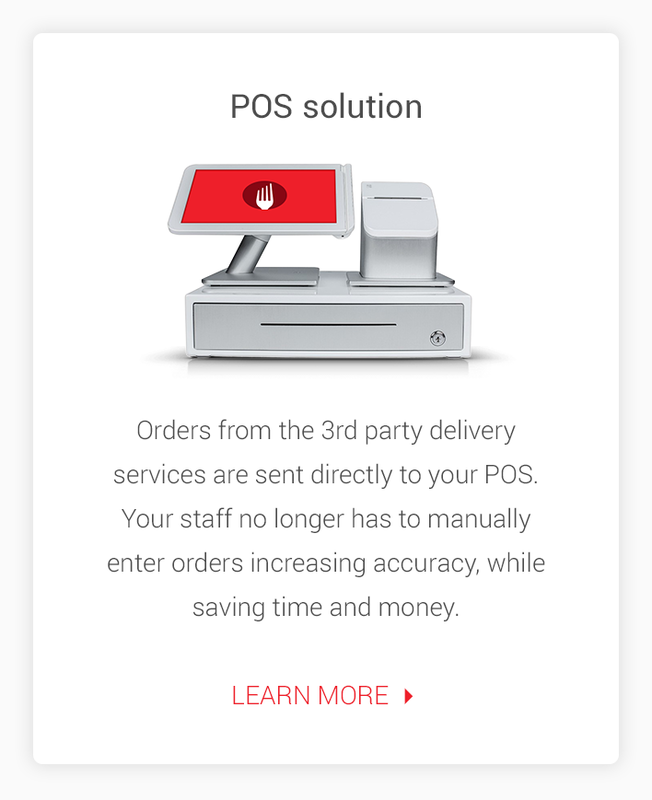 There are many different online ordering services and many different solutions, how do you choose which one is right for you? 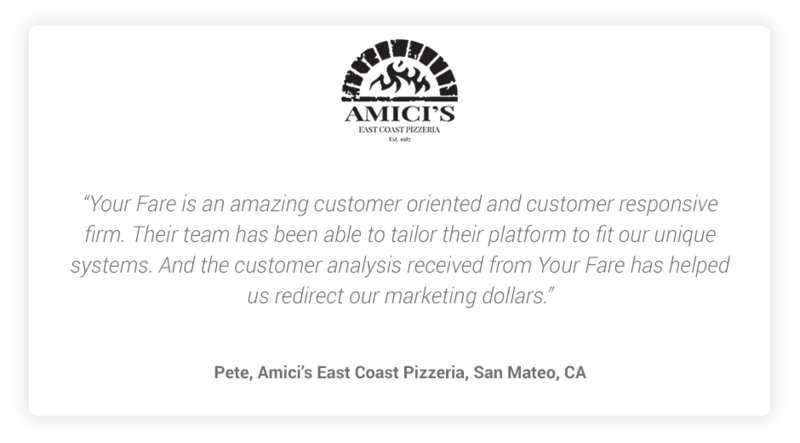 Your Fare will work with your team to evaluate your current point of sales and operations to build a strategy that fits your restaurant. The number one goal is to create a strategy around your online ordering platforms to increase profit margins. Want to drive more revenue but don’t know where to start? Speak to one of our restaurant specialists today!